Has your drone faulty motors or need maintenance service? Dont worry, the solution, a professional drone repair service near you with excellent customer service. Our local service center can process most repair requests within three to five working days. How to fix a broken DJI drones? DJI Drones and have become very complex, hence not easy to disassemble without further damage caused by an incorrect disassembly. It will also increase the costs of repairs and in conclusion the need for an authorised DJI drone repair center near me. Also, keep in mind that drones are flying objects and can cause serious harm if crashed during a flight. Therefore, we would always recommend you to send your DJI drone for an expert checkup. Where to find a drone repair shop near me? 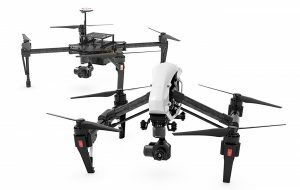 Electronic Partners offer services for all drone brands including Parrot, Yuneec, Zerotech, GoPro and DJI which includes the Dji Mavic Pro, Mavic Air and Spark. We can, however, fix any quadcopter as long spare parts are available. Request a free estimate or drop-off your commercial drone for diagnostic here at your local drone repair service centre. All repairs come with a 3 to 12 month warranty and all drones are test flown for peace of mind. Can you fix a drone battery? Discharging a LiPo battery past 3.5 volts per cell will result in permanent damage. If this level is exceeded, there is an error with the battery which should be checked by an authorised repair centre. We offer any drone repair UK wide. But LiPo batteries are not repairable and should under no circumstance be disassembled. Book your repairs and check our service process for your drone maintenance and DJI repairs. What does drone repairs cost? Can you give me tips before I starting to fly? Drones have become affordable and easy to use. So it’s the perfect time to buy your drone. Just a few tips so you don’t need to search for a drone repair near me! First of all, start to fly your drone slow and low. Practice with your quadcopter for a while in a remote area to get a feeling for it and how it handles. Watch out as it is easy to overlook trees, power lines and other obstacles which may in your way. Practice a lot, the first minutes can seem hard but no worries, it gets easier over time. At last, check out the manual to find out advanced functions on your drone and avoid water damage. Flight Time – Generally, longer is better. Get an extra battery to extend your flight. Speed – The maximum speed a drone can fly. Slow ones are more easy to handle. Range – The range is an important factor as it shows you how far your drone can fly without losing contact. Camera – Many drones include an on board camera. Make sure you pick the right resolution for your needs. Controller Type – Controllers come in the form of a hardware controller or an RC app which requires a mobile device. Return to Home – An function to tell the drone to come back to you using GPS. It is a very useful and convenient feature to have. We stock a vast amount of replacement parts for all drone brands. That includes DJI, Yuneec, Zerotech, GoPro and Parrot parts for a quick turnaround and customer satisfaction. Book your maintenance and repairs now and find below your closest Electronic Partners drop-off shop to get your free shipping label with a quick turnaround time and 3 month warranty. Expert non-warranty Drone services UK wide. …specialised in Drones made by Dji mavic … Almost all of our Air Rotor Motor Repair Heswall are processed within 3-5 working days while also offering express repairs. Expert non-warranty Drone services UK wide. …specialised in Drones made by Nikko Air … Almost all of our 220 Rotor Motor Repair Sheerness are processed within 3-5 working days while also offering express repairs.